Afterwood have always been committed to providing exceptional customer service, at the same time, wanting to keep costs as low as possible. Over the last few years, the cost of fibre (round wood) has gone up significantly, the impact of this has been rising pellet prices. 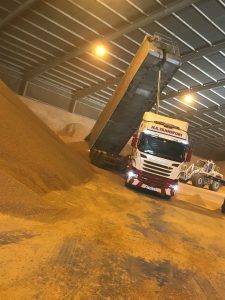 In an effort to try and curb some of those costs, Afterwood have contracted directly with one of Europe’s premier producers, buying cargo’s of 4,000 tonnes at a time, insures that we not only have adequate stocks throughout the heating season, but that we can offer a consistent, high quality pellet. Our new partnership gives us the benefit of forward purchasing, this effectively means we know our pellet costs for the next twelve months and have a structured framework for the next three years. If you are fed up with escalating pellet costs, then give us a call, or send us a message and let us fix your deal for the next year or two.